At the end of the previous novel, Nina Idi is arrested along with Jason Barstow for being illegal third children. However, unlike Jason, Nina was not a betrayer of her fellow third children. She gets thrown into a Population Police jail cell with three other small children - the Population Police are willing to make her a deal. If she can get the three children to admit to being the third children they are suspected to be, Nina's life may be spared. As Nina begins to befriend these three children, she realizes that she could never betray them. Instead, she begins stealing food for them when she goes in to report to a Population Police officer. 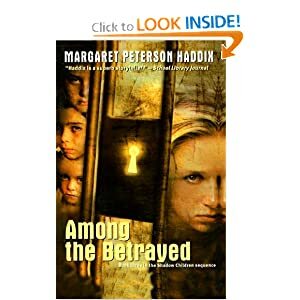 Nina and the children manage to escape, but they are now not only illegal third children with no fake IDs, but also fugitives of the law!